Home / Uncategorized / The 4th Annual Sephardic Music Fest! 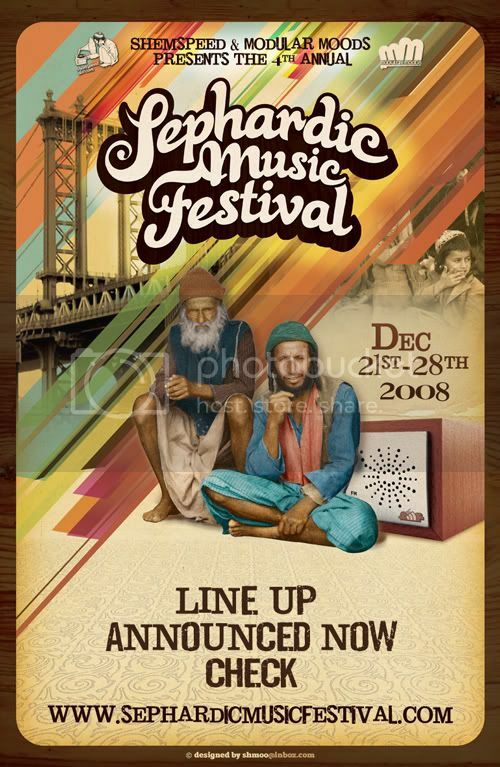 Shemspeed Presents: THE 4TH ANNUAL SMF WILL TAKE PLACE CHANNUKA 2008 (DECEMBER 21st – 28th)! TONS OF SHOWS, SCHOLARS SERIES & PARTIES ALL OVER NYC! PLEASE RSVP ATTENDING TO KEEP INFORMED ABOUT ALL THE SHOWS. SMF LA ANNOUNCES YEMEN BLUES & ASAF AVIDAN! Photos & Videos from SMF! 2 more night to go!